About 3,000 adolescents in the age group of 10-19 years die every day, which is one death every 30 seconds. In 2016, more than 1.1 million adolescents lost their lives. Diarrhoeal diseases, malaria, tuberculosis, lower respiratory infections and HIV/AIDS are among the top five causes of deaths among adolescents across the world. For girls between 15 years and 19 years, maternal condition is the top reason for deaths, according to World Health Organization (WHO)’s report ‘Coming of age: adolescent health’. The adolescents, according to the report, often die of entirely preventable causes such as road traffic accidents, complications of teenage pregnancy and drowning. 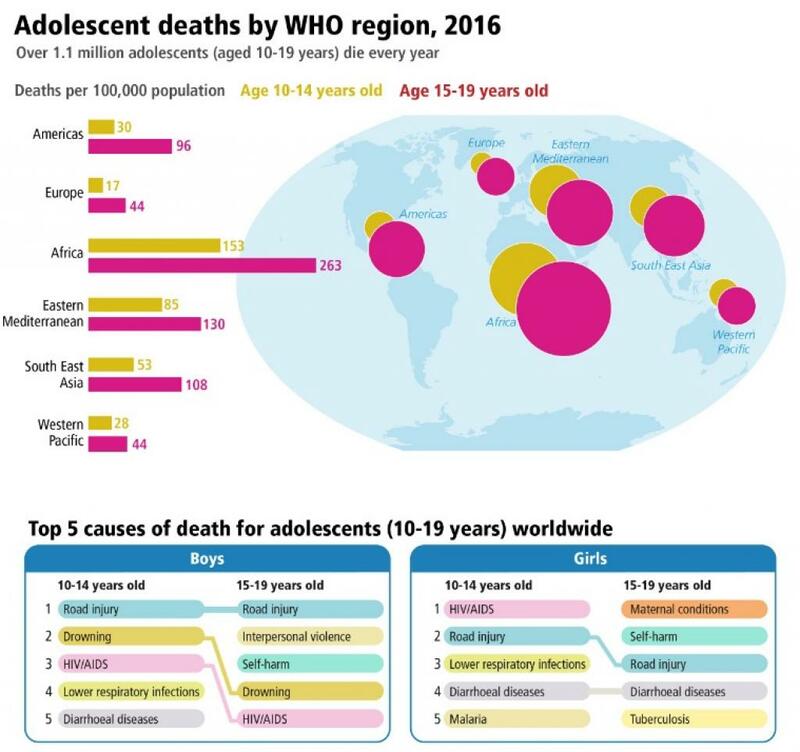 Across the world, death rate is higher among adolescents in the age group of 15-19 years as compared to those in the age group of 10-14 years. Going the region-wise statistics, adolescents in Africa and Eastern Mediterranean are more prone to die as compared to their counterparts in Europe and Americas. While 416 per 1.1 million adolescents die every year in Africa, the number is 61 in Europe. In Western Pacific, the number is 72. Eastern Mediterranean sees the second-highest death rate with 215 per 1.1 million adolescents dying every year. The world now has more young people than ever. Of the 7.2 billion people worldwide, over 3 billion are younger than 25 years, making up 42 per cent of the world population. Around 1.2 billion of these young people are adolescents between 10 and 19 years. Self-harm is among the leading causes of deaths among adolescents, and that, according to the WHO report, could be due to “devastating mental health issues” such as depression and anxiety. “Half of mental health disorders arise before the age of 14,” explains Tarun Dua, mental health expert at WHO. “If these are left untreated, they extend into adult life, thus impacting educational attainment, employment, relationships or even parenting,” he adds. 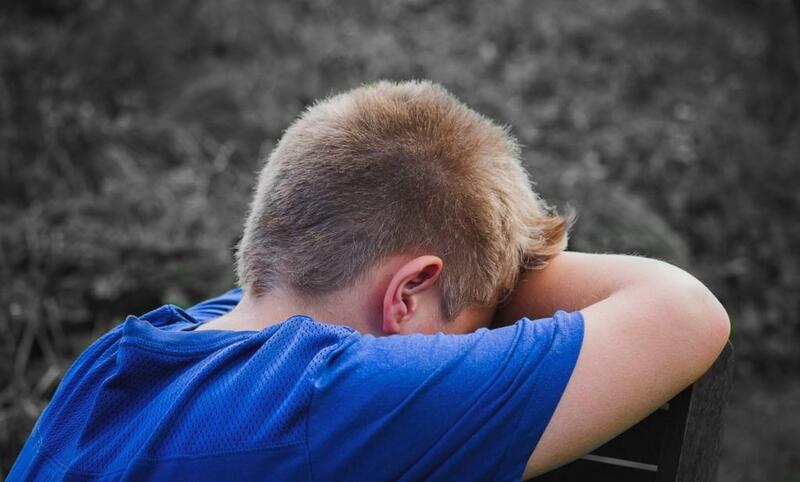 80 per cent of depression begins in adolescence, but many cases go undetected and untreated, according to the studies quoted by the WHO report. Despite the vulnerabilities, comprehensive approach to adolescent health is often lacking. It increases the risk of them being left behind in the development agenda. “For a long time there has been an assumption—sustained by critical gaps in data—that adolescents are healthy. Most of them indeed are, but much less so than we used to think. Data show that the considerable gains from investments in maternal and child health programmes are not sustained in adolescence: the reduction in child mortality was not mirrored by a similar reduction in adolescent deaths,” says Princess Nothemba (Nono) Simelela, WHO’s assistant director-general for Family, Women, Children and Adolescents.